Email Archiving Best Practices | SharePoint Case Study | Colligo | Colligo Networks inc. Implementing Colligo delivers all the advantages of a modern electronic email records management solution. 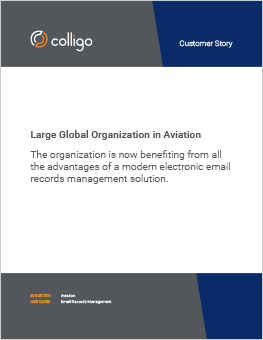 A large global organization in aviation with offices worldwide needed a cost-effective solution to support paperless email-records management best practices. To improve centralization, metadata tagging, and discoverability, official email communications needed to be stored on SharePoint, their records and document management platform. The organization’s leaders wanted an easy-to-use solution to foster adoption and utilization among staff. They chose Colligo. 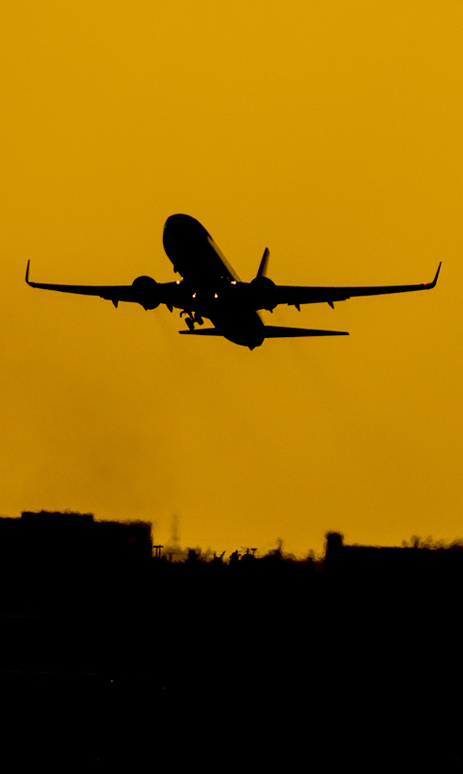 The aviation company was looking for an alternative to their paper filing practices for official correspondence. All official email messages were printed and centrally filed. It was becoming increasingly difficult to find needed information quickly – the organization was simply not able to keep pace with the accelerating velocity of communication. In addition, the volume of paper was growing out of control, leading to physical-space concerns and overhead costs. The organization needed a cost-effective solution that would allow them to go paperless and modernize its email- records management practices. The organization’s leaders wanted to improve governance by implementing an electronic email records management system. With SharePoint already deployed, the company sought to leverage its current investment by finding a SharePoint-Outlook integrated solution. Another key requirement was the capability to add metadata. The ideal solution should provide a metadata form, prompting users to provide required metadata. The organization needed a solution that ensured messages were filed properly, classified in accordance with the company business rules. The company chose Colligo to extend SharePoint capabilities for email records management. In order to efficiently follow their business processes, the company’s leaders implemented a filing system with distinct user groups – Focal Points and regular users – to ensure only trained staff stored email records in accordance with their official archive structure. Now, regular users in each area use Colligo to save official email messages in a particular folder easily and quickly. Then the Focal Point users select those messages, examine the contents, and file them directly to the appropriate folders in SharePoint with the required metadata. There is a limited number of Focal Point users – approximately 200: This allows for better consistency when choosing where to file messages and what properties are added. The flexibility of Colligo allowed the organization to implement a filing system in accordance with its business rules. Colligo offered support available during normal working hours for the company’s headquarters, an important factor in the company’s purchase- decision process.